Hello, my name is Will and Nordic culture is something that has fascinated me since I was a teenager. I found a book in the school library that explained the Nordic code of of conduct known as “The Law of Jante”. A code I took to heart. 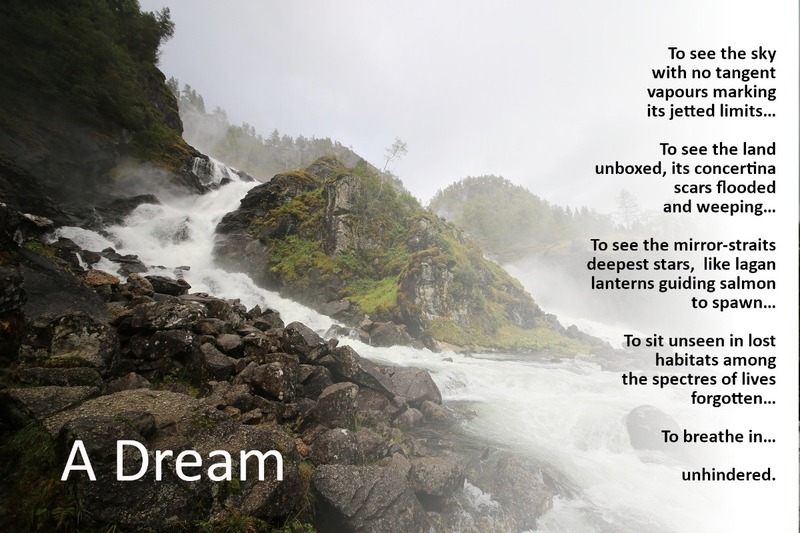 Iceland and Norway have had a particular fascination for me, partly because of the astonishing geology, but also because of the art, theatre, music and particularly poetry that emanates from northern climes. Poetry is the important thing here as I’m currently studying for a PhD in Creative Writing with a focus on landscape poetry. One of the books I pitched as part of my PhD is a poetic travelogue of Norway starting from Kirkenes on the Russian border and reaching Kristiansand in the southernmost tip of the country and taking in as many towns as I can, and with a lesser emphasis on the cities. Where this gets interesting is that for the last six years, I’ve been suffering from agoraphobia. I’ve been unable to work, unable to get benefits and most importantly, unable to get NHS therapy - well, I got a standard twelve free sessions - as sanctioned by the government - after being told I would need about year of weekly sessions to get to the bottom of it. But enough is enough, I hate being confined to the house, so I’ve taken things into my own hands (with advice from my doctor, obviously) and decided that ‘flooding’ is the way forward. Essentially, placing me in a position whereby I am forced to fight against my phobia in order to cure it. Being dropped off in one of the northernmost cities in the world and travelling south, writing about the landscape, the towns, the history, the culture and the people I meet as I go, is my method of choice. I can’t say I’m not terrified and at the very least, it will add an interesting frisson to my writing! Some of my work, including poetry about a previous visit to Norway - before the agoraphobia took hold - has been published in “The London Magazine” - the world’s longest running and most prestigious creative writing magazine. Established in 1732, the London Magazine has featured and premiered work by everyone from Keats, Byron, Thomas, Plath, Larkin, Heathcote Williams, and even the beat poets and William Burroughs. It has an astonishing history. To now be part of that, and rub shoulders with the greats, is an overwhelming honour and really prods the Imposter Syndrome buttons! The funding available for Creative Writing is minimal and still not being able to work is making studying - and especially research travel - very difficult. So, the nub of this rambling is that I’m appealing for help to get me to Norway and stay there while researching, travelling and writing. And hopefully combating my agoraphobia once and for all. I have two years to research with a further year of writing up and any monies donated will be go towards the cost of travel. Even though I'm a poet, and writer, I don't have the words to adequately express how much I appreciate your time and support. As an incentive of sorts, if you donate £15 or more, and leave a contact email, I'll send you a copy of the finished book... but be aware that it will be around three years before publication. Updates and pictures, works and thanks will, in the meantime, appear on the Norwegian Dreaming blog. Click here for a surprisingly amiable video from a deeply nervous man that gives a little more context and information. Sally Churchward, senior features writer of the Daily Echo in Southampton/Hampshire has picked up the story of my struggle with agoraphobia in this very sympathetic article, published today (February 5th 2019). Please share, if you can.